Wikipedia describes the technique of "metal spinning, also known as spin forming or spinning or metal turning most commonly, is a metalworking process by which a disc or tube of metal is rotated at high speed and formed into an axially symmetric part. Artisans use the process to produce architectural detail, specialty lighting, decorative household goods and urns. Commercial applications include rocket nose cones, cookware, gas cylinders, brass instrument bells, and public waste receptacles." My own experience in metal spinning is mostly self-taught after research, conversations with professional spinners and trial and error. Quite a bit of error. My first spinning was accomplished on a modified Rockwell wood lathe. Eventually, I found and purchased an actual small bench-top spinning lathe (Spin Shop) on Ebay which can turn up to a 12-inch disc. Most of my spinning has been with copper, specifically 18-gauge (.040) C110 ETP (Electrolytic Tough Pitch) Copper. However, I have done some spinning with fine silver, sterling silver, brass, aluminum and pewter. Because most of my work is intended to be enameled, copper and fine silver are the best suited metals. 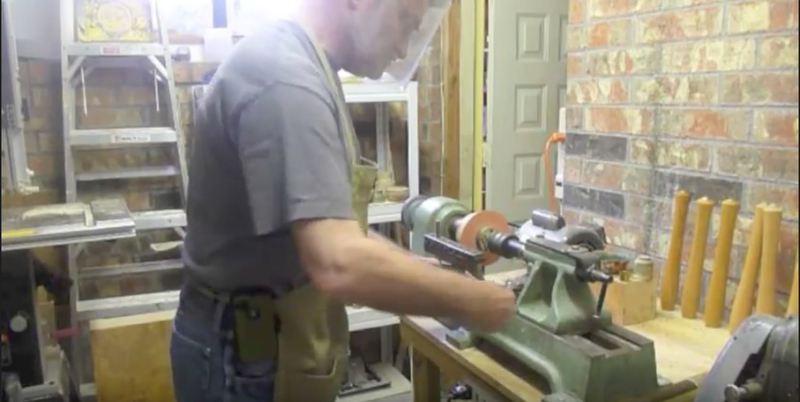 A simple open-formed bowl can be achieved with a single chuck. I turn these out of hard maple on the same lathe that I use for spinning. 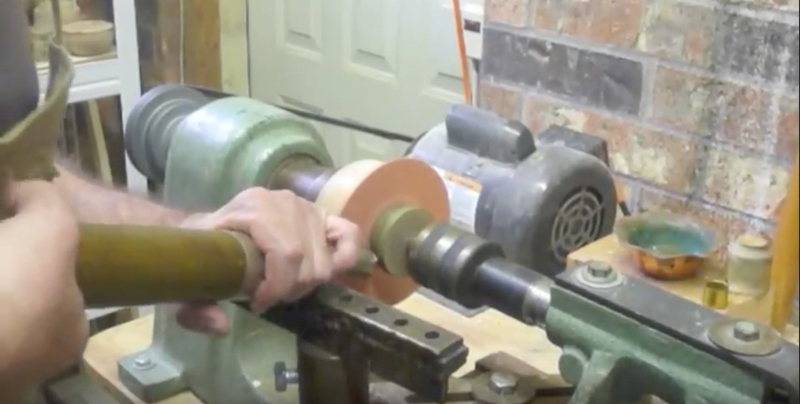 Of course, wood turning tools are different than spinning tools. For more complex shapes that curve back in, I was forced to spin the vessels in two parts and silver solder them together, resulting in a seam around the waist. This was usually successful but on occasion the solder seam would cause some of the enamel to flake off. 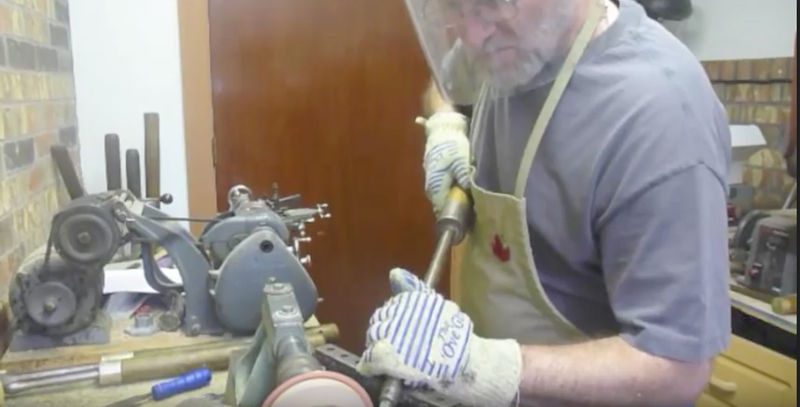 Thanks to Neil Brand I am now able to spin at least one complex shape around a compound chuck which will then come apart after the vessel is complete. My enameled vessels and other works have been exhibited internationally and they are represented in the permanent collections of the Enamel Arts Foundation in Los Angeles, Boston Museum of Fine Arts, the Renwick Gallery of the Smithsonian Institute, the Museum of Art & Design in New York City , the Mint Museum of Art & Craft in Charlotte, NC, the National Ornamental Metal Museum in Memphis, Denali National Park Visitor Center in Alaska, the Houston International Airport, the Wichita Center for the Arts, the National Gallery of Australia, the Cloisonné Enamelware Fureai Museum in Ama City, Japan and the Victoria and Albert Museum in London.